Home Ink Cartridge News April Fools Day! It’s April 1st! Happy April Fools Day from Ink N Toner UK! Ever wondered why April Fools Day exists? Well whilst sitting and work dreading what is to come from family, friends and co-workers, I found myself wondering “why?” Why does this dreadful and horrific day exist? The answer is: no one actually really knows. 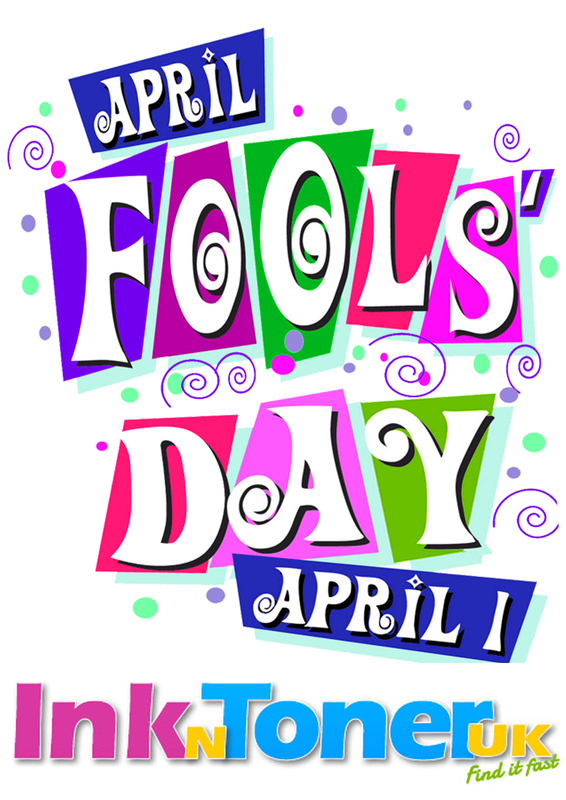 Some speculate that April Fools Day originated in the 18th century. Whilst no one really knows why this so-called ‘holiday’ exists, it can be fun, but only if you’re the one pulling the prank, really. So happy April Fools Day! Want to celebrate April Fools Day but don’t want to pull a nasty, horrible prank on someone you love? Why not be lazy, print out the awesome poster we’ve made here at Ink N Toner UK instead to show your friends, family or co-workers that you wanted to prank them but didn’t want to hurt them emotionally or physically. Alternatively, you could just print out photos of spiders and leave them in your mum’s cupboard to freak her out at some point and then shout “APRIL FOOLS” at her, but that may come with some consequences. Need ink or toner cartridges to print out your April Fools Day printable? Well here at Ink N Toner UK, we’re dedicated to providing you with the ink and toner products you need for the most affordable price. Click here for ink cartridges and click here for toner cartridges. Click the image below to print out your April Fools Day printable!